This post is long, but is written as a guided companion to Itinerary #1, Southern California. This and future “guides” are where I’m going to put all the extra suggestions and experiences about our trips so that the posted itineraries stay very concise and useable when you download them. This also might partly be considered a ‘travelogue’ and I apologize for that, but it’s hard to write about the places you’ve been without including a few stories. Hope you enjoy! You might think that the desert is boring or that Joshua Tree is an unnecessary, out-of-the way stop on your trip and succumb to the rationality that an extra day at Yosemite instead of Joshua Tree would be well spent. Don’t skip Joshua Tree. This is an absolute jewel of a park, and after being in the dark forests of Sequoia and the shaded waterfalls of Yosemite, you’ll appreciate the memories of being baked toasty warm underneath the hot California sun of Joshua tree. My kids ran all over the parks, climbing boulders and dodging cacti as they raced along trails. The Joshua Trees look like something out of a Dr. Seuss book and fascinate adults and children of all ages. Since they were raised in the desert, I was worried that Joshua Tree wouldn’t hold that much interest for them, but as we wound our way northward through the park, stopping off at places like the Cholla Garden and Jumbo Rocks, I began to realize that this was something different and special. There were no car horns or trash, not too many people, and no buildings in site. It was just a simple, fragrant, stark landscape that enveloped you in the dry warm heat of summer. Good thing we’d seen National Treasure the week before we left and the kids were stomping around every trail shouting “Boom, Boom, Firepower!” or the silence would have become positively unnerving. 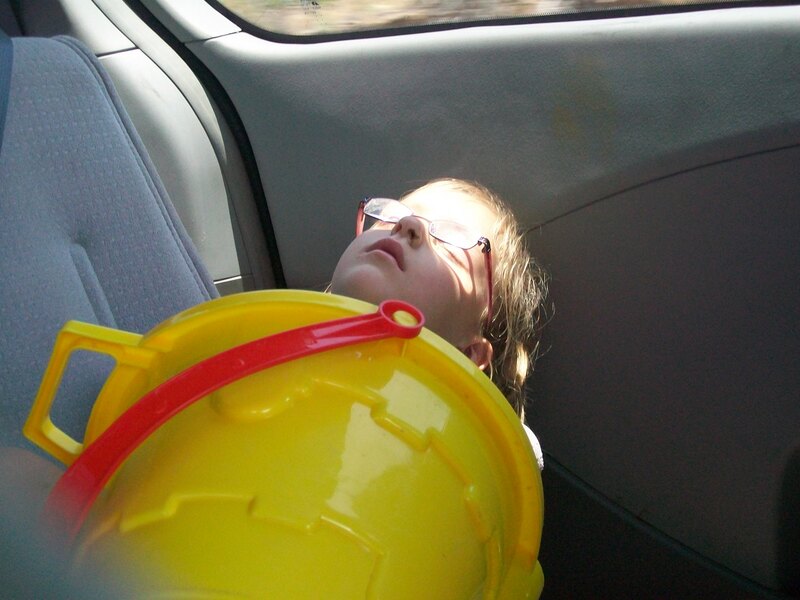 I have to admit that for our very first picnic, on our very first day, of our very first trip, I kind of over-did it. Surprising, I know. After a 3 hour car ride to get there and our first nature walk checked off, we sat down on a shaded concrete picnic table and I pulled out the following: home-made hummus, huge stack of cut, fresh vegetables, yogurt for each, apple slices for each, string cheese for each, bread, turkey, cheese and all the sandwich fixings, peanut butter and jelly for my “finicky” eater, and a jello for dessert. I think they each ate half a sandwich and a couple pieces of celery, and did not even touch the awful-tasting home-made hummus which I carried all over California and then dumped somewhere along the coastline. It was a good lesson for me in portioning food for the trips, and the kids sure enjoyed a good laugh at my expense. Nothing like starting out with a little bit of funny! 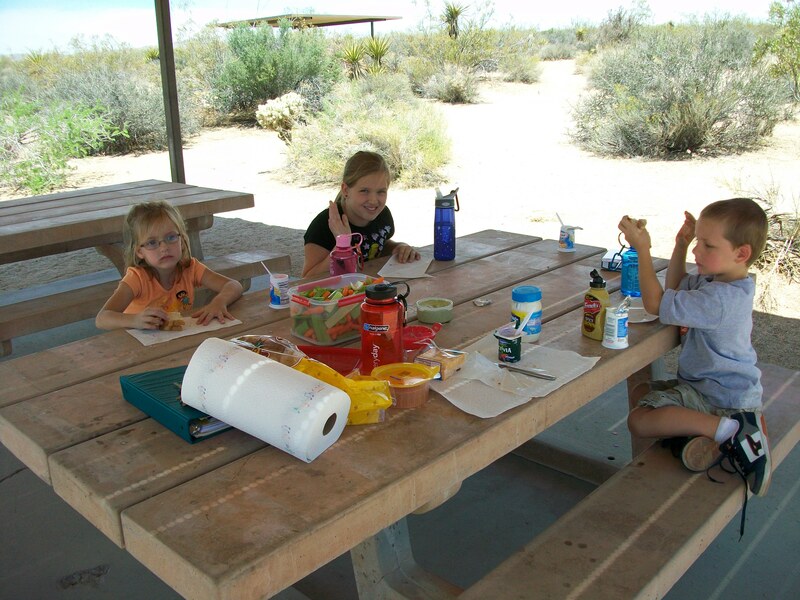 Joshua Tree National Park, 2009 – Our very first picnic on our very first trip. Good thing I drove out of Joshua Tree feeling like I just left a desert nature spa, as I ended up needing the calming boost to get us up to our campground in San Bernardino. I was not familiar with the highways of Southern California and was not expecting the winding zigzag of a drive up a mountainside to Dogwood Campground. I actually thought I was making it easy by picking a campground on the outskirts of L.A.! Anyway, I thought seriously about advising you to pick another campground to avoid the drive up the mountain, but in the end decided against it. If you haven’t been up there, it really is a beautiful part of this region, and you should see it. Plus, having a campground reserved at the top of the pass allows you easy access to beautiful Lake Gregory the next day, and if you don’t live in or near Los Angeles, when are you ever going to make the effort to get up into those mountains? My advice is to go forth and conquer this little climb, enjoy your rest at the top, and give your kids a sand bucket in case they need to throw up. Although we’d always been an active outdoor family, for the past ten years we’d only been camping with my husband along, which means that we designated jobs. Perhaps this doesn’t paint me as much of a feminist, but when we do divide up jobs, I invariable leave any tasks involving the car, firewood, or propane to him. Believe it or not, I had never actually lit a Coleman lantern before this first night in the woods, camping by myself. I was not worried about this, but that was before my first day of the trip. After being up all night packing the car, a very early morning drive to California, hiking through Joshua Tree, hauling coolers, kids, and gear in and out of the car, a very scary and nerve-wracking drive up into the San Bernadino mountains, and a brief search for our campground, I was emotionally depleted. I reached the campsite and put on a brave happy face for the kids and got them excited about setting up our tent, but really I was on the verge of tears and just needed a nap. Then I had to figure out the stupid Coleman lantern and mantles. What the heck are mantles? No one told me that the first time you light them they will catch on fire. Like actual fire. I was terrified that I was doing something wrong and that I was going to create some sort of explosion. Also, I couldn’t get the lights to turn off in the car and I began freaking out that my battery was going to quit working. Also? I didn’t have enough kindling to get a fire going from the large split logs that we bought from the campground host. So, I did what any weary woman does when she needs to vent and called my poor husband to whine. I know that doesn’t paint a pretty picture of me, but there really is no other way to put it. Eventually, I lit the lanterns without blowing up the campground. I figured out that one of the sliding door on the minivan wasn’t shutting properly and therefore leaving the car light on. I put Aubrey in charge of organizing our sleeping arrangement in the tent and sent the little ones out to gather small branches for our fire kindling. We figured it out, and even managed to eat our first hot dogs before the sun set. Day One Accomplished. The lesson here? You are going to have some very, VERY, tired moments. But, don’t give up on the idea. These tired moments are when the magic happens. When everyone suddenly pitches in and becomes a team. When your trip turns into a real-live adventure. The time spent at Lake Gregory was probably too short, but it was enough of a break for us to relax and have some fun before the long drive to Sequoia. The kids went down the waterslide and enjoyed playing on the beach. They had a water toy rental shop and we decided to try out the giant-wheeled water-tricycles! I had not expected them to be such a hit, but the kids spent an hour on them paddling around the lake! So fun! Lesson learned: No matter how much you plan, unique opportunities will always pop up when you least expect it, and usually they make some of the best memories. The last hour of our long drive up to Sequoia National Park was a an uphill winding climb while dodging RV’s through hair pin turns and countless switchbacks. I still remember the moment we arrived in the Giant Forest as one of my most cherished memories of the trip. It was late enough in the day that the sun had just started to set, casting shadows all over the roads. The trees dominated every view of the landscape, blocking the sun from view and lording over the forest floor, immediately transferring you into their world. These giant organisms, the largest on Earth, towered over the road like giant’s on a mountain, their massive car-sized trunks crowd your window, each seemingly larger than the last, and inspire a true feeling of majesty. The smell of dirt and damp pine needles creeps into the car, and the winding road and lush green bushes block any other traffic from view, so that your isolation increases the further you drive in and you know you’ve entered their beautiful, natural, eternal world that is untouched by the brief life of man. This feeling of awe and beauty and power stayed with me the entire time we were in this beautiful place. 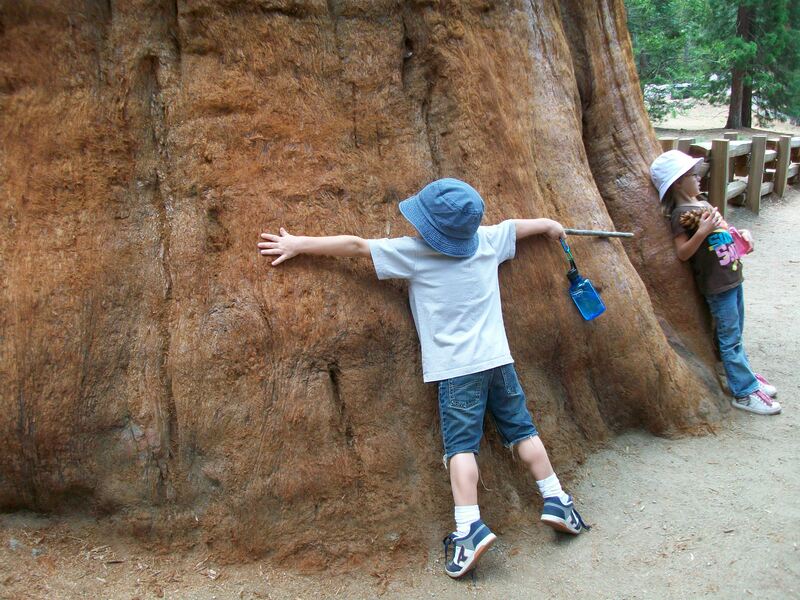 The Sequoia’s have such a solid, permanent presence that it’s difficult to imagine them ever being gone. We arrived in Lodgpole campground at dusk. It was mostly empty, quiet, and very cold! Thankfully, we had taken some of the kindling we found in San Bernardino so that we could make a fire right away and not have to go purchase wood. After another big drive, it was nice to just make some hot chocolate and roast hot dogs and marshmallows. Be prepared for cold, damp weather. I advise having a tarp to go under the tent and a rain cover to go over it to protect from the dampness. The next morning is a great one to sleep in and have a relaxing camp breakfast, maybe even pancakes. The hikes listed on the itinerary for this morning will make for very relaxing and pleasant walks through the Giant Forest. You’ll find the huge Sugar Pinecones that I talked about in my Science Friday post, and the kids can see how far they can wrap their arms around the massive trees. For our afternoon hike, we chose the Topokah Valley trail. It was 3.5 miles round trip through an old-growth forest to Topokah Valley Falls. The creeks and waterfalls along the way were beautiful, and refreshing if anyone wants to jump in. We also saw lots of wildflowers and a family of deer followed along next to us for about a quarter mile. It was a beautiful hike, and we arrived back in the late afternoon with enough time to just relax and enjoy the last hours of daylight at the campsite. The next day we drove over to Kings Canyon National Park. Make sure to walk the Grant Tree trail to see our Nation’s official Christmas Tree! 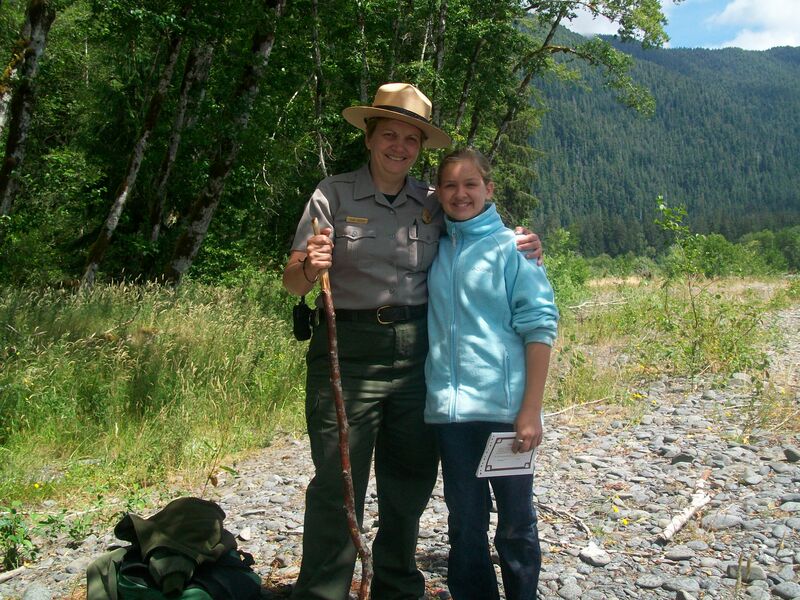 The rangers at the visitor center should be able to guide you towards a nice afternoon hike. I remember the drive between Sequoia and Kings Canyon being really gorgeous, and now I hear certain songs that come up on our iPod road trip playlist that still take me back to that day. (Madonna!) Enjoy your last afternoon at Sequoia, they have great laundry facilities, showers, and ice cream at the market. A good place to take a rest and get cleaned up. Also, don’t forget to have the kids write about the things they’ve seen so far in the their journals on the way up to Yosemite the next morning. Yosemite attracts attention. As explained in my About page, it’s the park that originally inspired our journey and the one I was most excited to see, but I was not prepared for the crowds. The infamous drive down into the valley was full of awe-inspiring panoramas that you simply cannot get from a photograph, but the winding road was packed with traffic and you have to be patient to find a parking spot. Although the traffic makes the already steep and winding drive a little more nerve-racking, it doesn’t take away from the incredible views of Half Dome lording over the valley floor. Maybe it is cliché, but make the effort to stop, get out of your car, and take a photo. If this is your one chance to see these infamous views, don’t pass it up. Yosemite village is congested. There is just no way around it. Finding a parking spot will be hard, and finding an open picnic table will be harder. This is my one memory of the kids eating sandwiches curbside out of the car. It kind of brought me back to the nostalgic memories of my own youth. Haha… how different from Day 1! Guess what? The gift shop, visitor center, and campground will be crowded too. Plan for it and put your patient “I will work extra hard to be nice to everybody” hat on. For even though its going to be busy, you don’t want to miss exploring the valley floor. 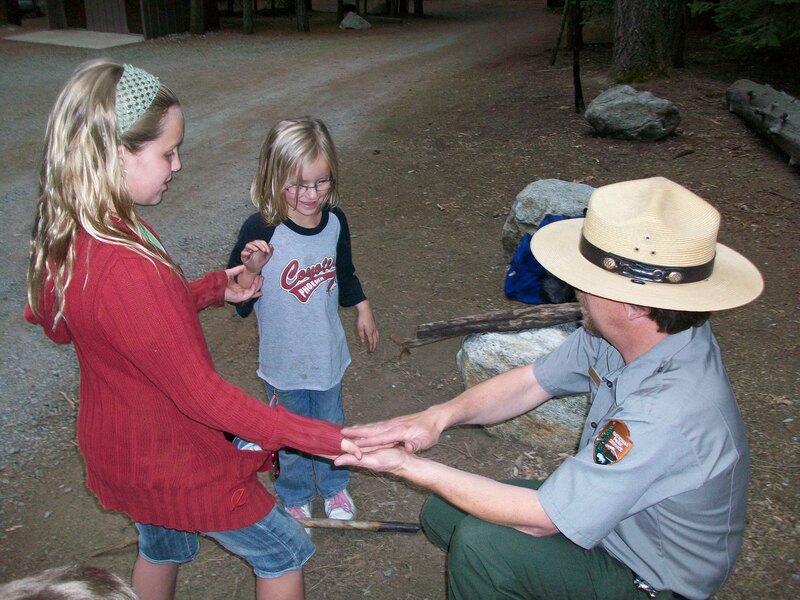 Walk the trails to Yosemite Falls, Bridalveil Falls, Cooks Meadow, and anything else the visitor center rangers might suggest. Yosemite Valley may be the “touristy” thing to do in here, but there is a reason it is the most popular area of a popular park. The views, the waterfalls, the meadows and woods, all are exquisite. 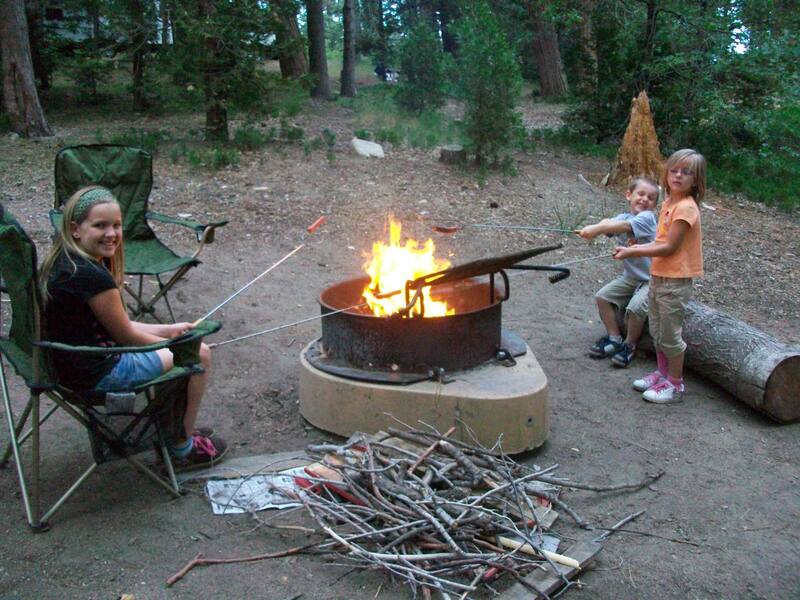 My kids were still young when we did this park, so we stuck to the shorter trails, but if you would like to do the longer trails towards Half Dome or Glacier Point, then I would suggest making reservations for a campsite in Yosemite Valley. Otherwise, enjoy your beautiful afternoon in the Valley, but then head up to the campground in Hodgdon Meadow on the western edge of the park. 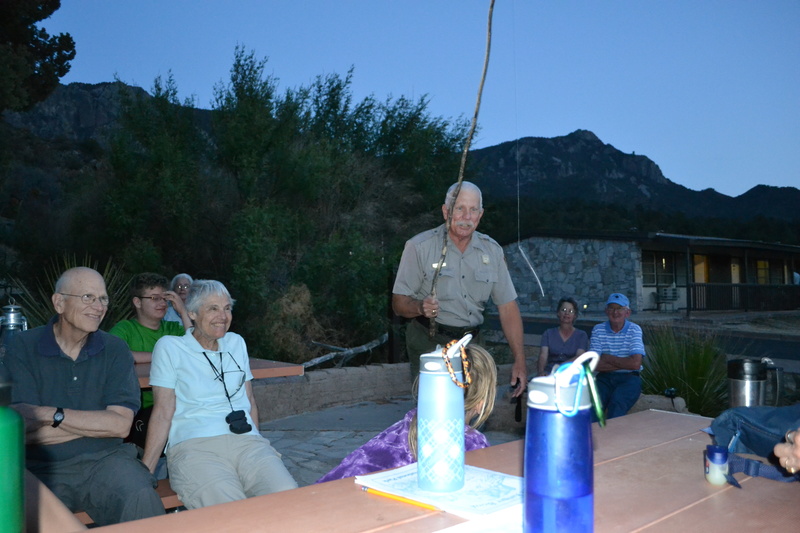 It’s out of the way of the crowds, we had a great time and had plenty of room to for the kids to run around at our campsite, and that evening we went on a very beautiful and peaceful Twilight hike with the campground ranger. The next morning I suggest packing up and heading over to Hetch Hetchey, located on the western edge of the park. The O’Shaugnessey Dam offers a spectacular view of the plummeting spillway water and the Tuolumne River below. Awesome views! 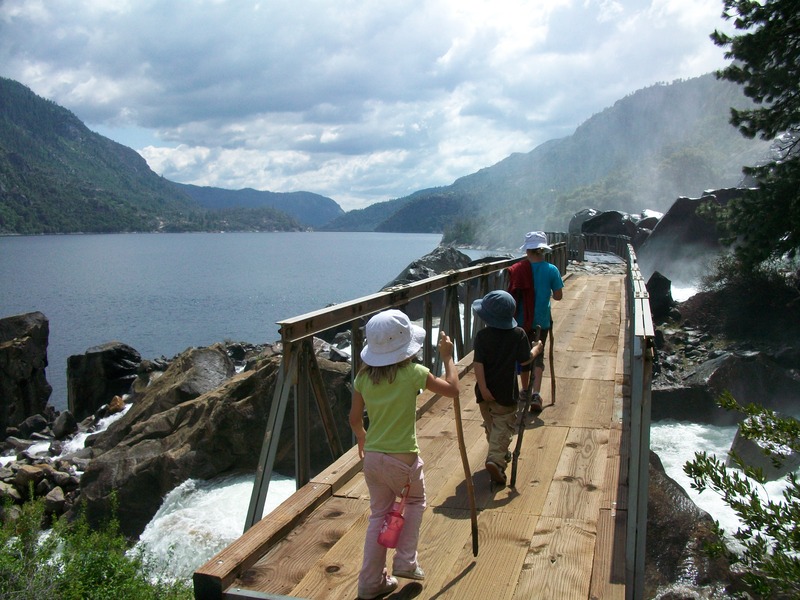 The 5 mile round-trip hike from the dam to Wapama Falls is a perfect challenge for your younger children. There is very little incline until you are close to the falls, you cross over a few streams a long the way that make perfect rest and picnic stops, and Wapama Falls themselves are amazing! Which reminds me of a tried and true rule we’ve learned over the years: a hike to a stellar waterfall, no matter how difficult it is, is always, always, worth it. Go. Hike it. Love it. The twins still remember this one, four years and many, many hikes later. Not only because of the waterfall, but because of the amazing feeling of accomplishment they had at five years old. Yosemite National Park, 2009 – Kids crossing the bridge at Wapama Falls. Are you tired yet? Looking back as I write this I remember the adventure and adrenaline that kept us going, but now it just seems exhausting! Stay with me though, it really is so much fun! The laughter and smiles of the kids carry you through, and the pace and activity involved in these trips are what make them, well… an adventure! Make sure you have a campground site reserved at Pinnacles because you will probably be arriving later in the evening. After your tent is up and the campsite is settled, wash off the dust from your Yosemite hike with a refreshing dip in the campground pool. 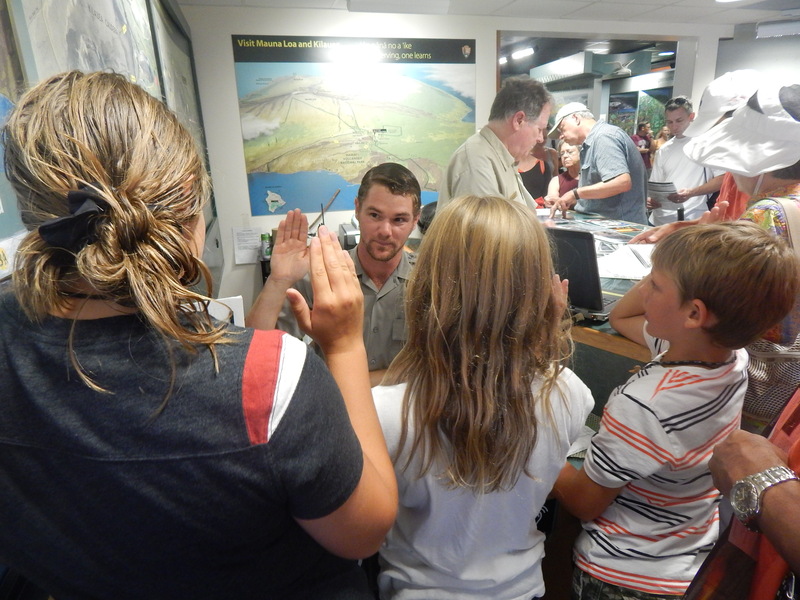 In the morning check-in at the visitor center and talk to a ranger about which caves are open for viewing. The Balconies cave is amazing, but a much longer hike is required to get there which may not be suitable for families with young children, especially during the summer months. When I visit this summer I plan to do the walk from the campground to the Bear Gulch Day Use area, then do the Bear Gulch Cave loop and walk back. Make sure to bring plenty of water for each person on your hikes, and bring binoculars for the phenomenal bird sightings! Also, if your family is into rock-climbing, this is the place to be. 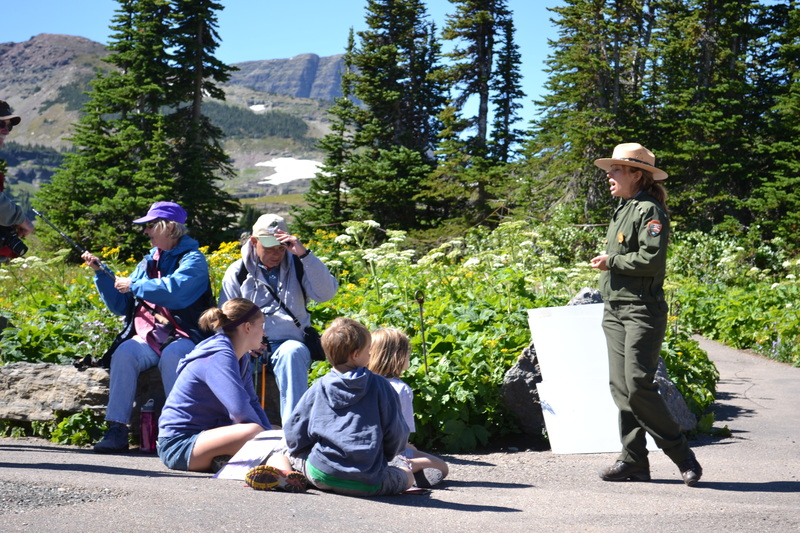 Check with the park rangers at the visitor centers to find out which routes are currently safe and appropriate for your children. When you leave Pinnacles on Day 7, you only have a short drive to the coast for your night at the hotel! I actually suggested the Ramada Marina in the itinerary because we had such a phenomenal experience there, and honestly I haven’t felt a more comfortable hotel bed since. (However, the five previous nights sleeping in a tent may have had something to do with that.) The night is open! Enjoy one or two hot showers, go out to dinner, sleep in and send the kids downstairs for their awesome breakfast in the morning. This is also another good spot for washing any towels or clothes that might need it. Out of all the museums and zoos and cultural sights in the area, I chose the Monterey Bay Aquarium because it is quite simply, The Best. This is a must see. It will be a nice, cool day inside and there are so many amazing animals to observe! I’m sitting here trying to pick our favorite exhibit, and I just can’t… every single one inspires oohs and aaahs from all of us! The jellyfish, the tide pools, the open ocean, the Sea Otters, the kelp forest. So much to see and learn! Did you know that seahorses are the only animal in the kingdom in which the fathers carry the pregnancy?! 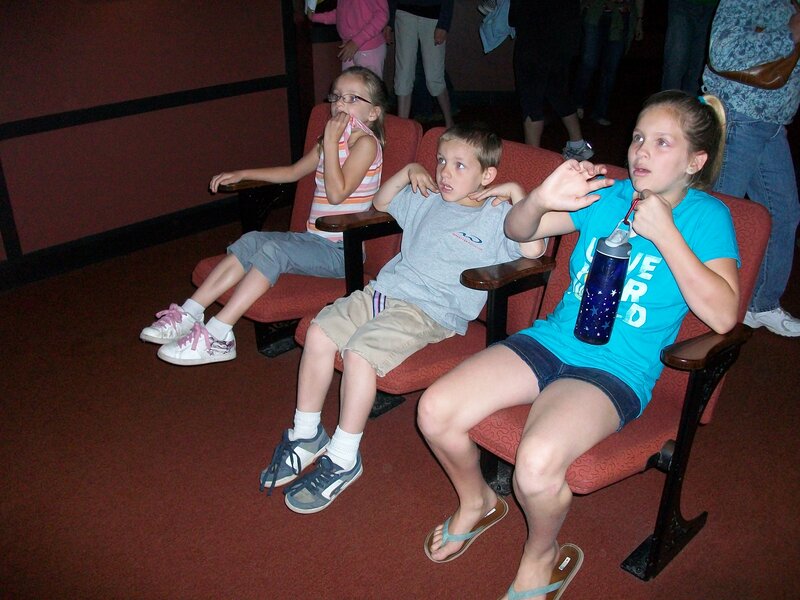 Monterey Bay Aquarium, 2009 – I can’t remember what they were watching at this exhibit, but the universal look of dread on their faces makes me wonder! 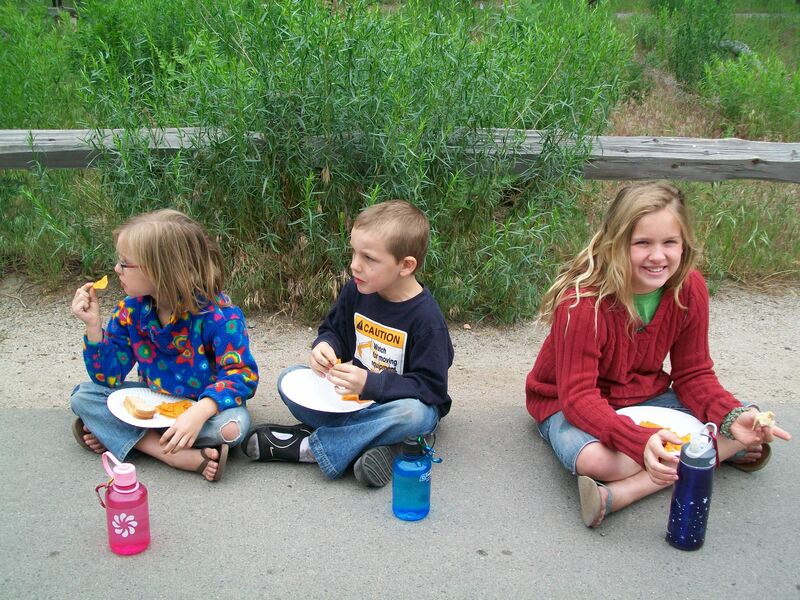 On your way to Fernwood Resort, the kids will get their first glimpses of the famous Big Sur coastline! Fernwood has the option of lodging or camping. We always camp to save the extra money for excursions and other trip activities, but obviously you can change the itinerary to fit your preferences and book lodging whenever you like! The campsites here were tucked up nicely against the frolicking Big Sur River, and the kids can wade around or float in rafts in its comfortable shallow waters. It’s funny, I was so eager to get to our hotel room the night before, but once I was there I felt a little claustrophobic after all the time outdoors. It was really nice being back at a campground again and between the meandering river, the sand volley ball court, and the friendly neighbors, this campground is a great place to let them just run around and enjoy the outdoors on their own terms! No trip to Central California is complete without a drive down the California HWY 1 and the Big Sur Coastline. Take your time and enjoy the drive, stopping at your leisure to take in all the beautiful views. We stopped at the Julia Pfieffer Burns State Park to hike over to the infamous McKay waterfall. What a breathtaking site! 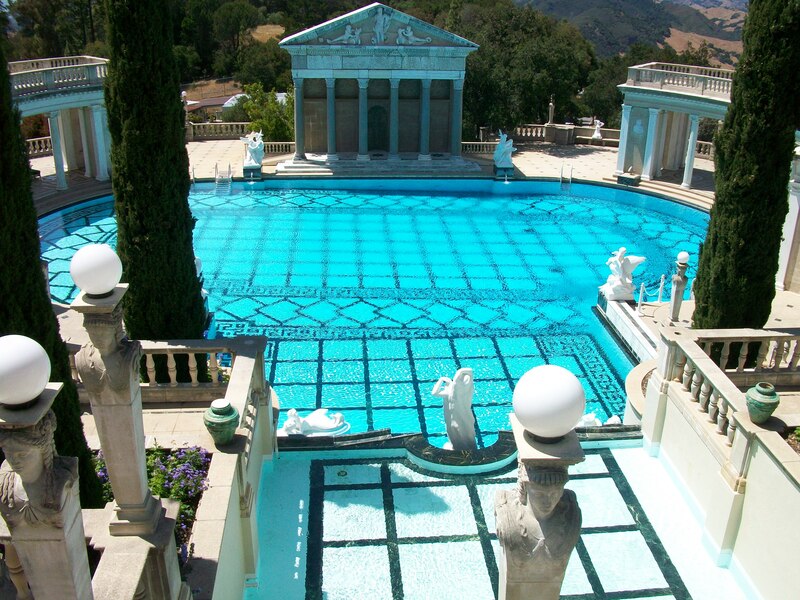 If you’ve looked at my itinerary, you might think that the Hearst Castle is such a random place to stop and see, but I thought this was such a unique thing to do on our way back to L.A. The home is spectacular, and one of only a few American “castles” that they will ever get to see! We especially liked the dining room which inspired the Great Hall of Hogwarts seen in all the Harry Potter films! But the priceless collection of sculptures and other artwork are pretty cool too. The meticulously sculpted gardens and ponds are so gorgeous and fragrant. The pools were stunning and standing on their decks almost takes you back to another time as the tour guides tell you about the life of this amazing and most influential figure in our history. Be sure to plan ahead and make reservations for the tour and time that you want! The last night of our trip we camped at Sam Simeon State Park and really enjoyed this quiet beach in the late afternoon. The kids played with seaweed and ran in and out of the waves while I rested in the sand and read a book. It was the perfect ending. The next day you have a few options. The morning will be taken up with the drive into L.A., but then I would suggest getting the kids to one of the really amazing and unique museums there, like the Page Museum at the LaBrea Tar Pits or the Getty Center, which I am really looking forward to seeing this summer. You could also check out the Venice and Santa Monica beaches if that is more up your alley. There is also Hollywood, theme parks, zoos, ball games, and gardens. Whatever you choose, Los Angeles is a great city to end your trip with many amazing options. 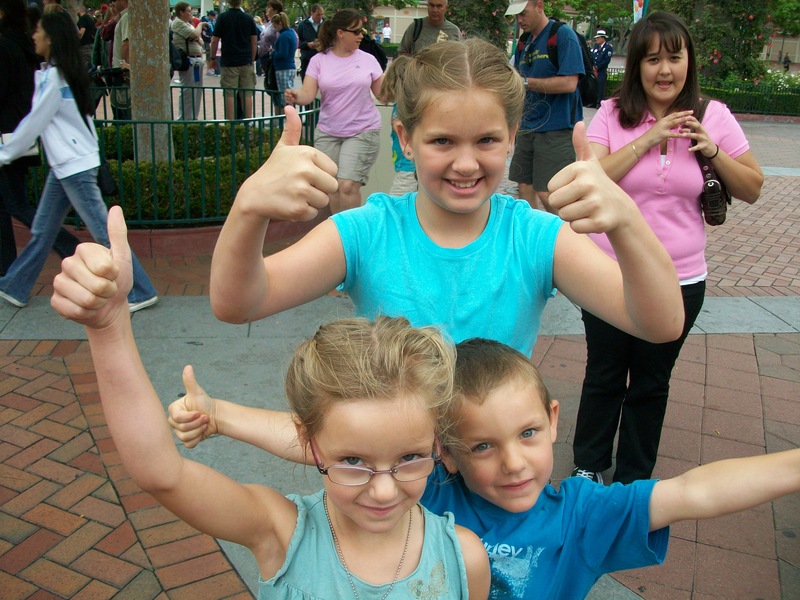 We chose to top off our trip with a day at Disneyland since the five year old twins had never been there. It was hot and we battled the summer lines, but the kids still had a blast! Whatever you decide to do, I hope that you make some amazing memories and have some wonderful adventures on your California vacation!